Volunteer Impact Version 3.0 – the latest version of web-based volunteer management software from Volunteer2 – has recently been released, following a year and a half of design, programming and testing. 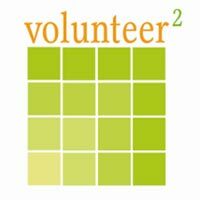 Volunteer2 was first introduced into Australia in 2008 through a partnership with well know Australian volunteerism specialists, OzVPM and is now used around Australia. The aim of the software was to create a system that further enhances the volunteer manager’s capacity to communicate with volunteers, reduce time spent on administrative tasks, and engage volunteers at a higher level, according to Tony Goodrow, President of Volunteer2. The company behind the software, Volunteer2 has been providing Not for Profit organisations, schools, special events, hospitals and councils with volunteer management databases for more than a decade. New features that have been added to the volunteer management software – include email templates, activity shift templates, customisable general interests, a general availability section and expanded exporting functionality – and all new additions are based on suggestions from clients that were using Volunteer Impact Version 2. Goodrow says he doesn’t understand why a lot of software companies seem to close their doors to their clients. He explains that his team catalogues client feedback and revisit it when planning program upgrades – it’s great market research and freely available to them. He says his company’s understanding of the volunteer sector is evident in the software design. Goodrow says administrative time saved by managers of volunteers can be used instead to recognise and interact personally with volunteers which in turn will build a stronger organisation. Volunteer Impact is the first volunteer management software built with a variety of cultural settings. This makes the software just as viable in Australia as it in other parts of the world where it is used including the UK, New Zealand, Canada, USA, Singapore and South America. The Australian version has proper Australian date and time formatting, Australian spelling, exporting capable of A4 paper formatting, and locally formatted contact information fields.